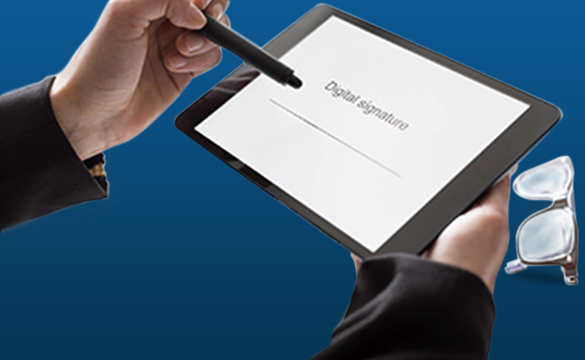 A Digital Signature is a method of verifying the authenticity of an electronic document. Digital Signature also ensures that no alterations are made to the data once the document has been digitally signed. A Digital Signature Certificate (DSC) is normally valid for 1 or 3 years, after which it can be renewed. Accordingly, Digital Signature Certificate is a digital equivalent of a hand written signature which has an extra data attached electronically to any message or a document. DSC clearly associates with two important keys for identifying the individual person or a device.They are Public and Private key.It contains the user identity information such as name, pin code, country, email address, date of certificate which was issued and the name of the CA.These keys need all the information mentioned above, one will not work in the absence of the other.The information will be used by the browser and the server to encrypt and decrypt the identity of the certificate user. The private key can be stored on the user’s computer hard disk or any other external devices such as USB token.The user can retain control on the private key so it can be used only by the issued password. The public key is then, propagates the encrypted information.The authentication process fails in the case if any mismatch found.This means that encrypted data cannot be decrypted by the unauthorised persons. Veeyeskay Consultancy Private Limited is the leading service provider for Digital Signature Certificate in Coimbatore and we are providing a reliable and an effective solution to the clients for all their business related issues such as Income Tax, GST, ROC, EPF, e-Tender, etc . “DSC” Registration can be done efficiently with our young and experienced group of professionals to guide the clients in a better way and at the minimal period of time with competitive price. Class 1: The use of digital ID’s for secure email enables the user to digitally sign and encrypt digital communication. The best way to secure and validate your email address is by using Class I Digital Signature. The recipient of the email will know that the content was kept confidential during transmission. We are providing Class 2 and Class 3, DGFT Digital Signature Certificate and Encryption. Class 2: Veeyeskay Consultancy Private Limited provides ARA (Authorized Registration Authority) for commencement of service of eMudhra and Sify, Class 2 certificate from the IT Department and ROC department. The Class 2 Digital certificates are electronic files that are used to identify people and resources over networks such as the internet. Class 3: Class 3 Digital Signature recognizes people and resources over network and ensures encrypted communication between two parties. The class 3 Digital Signature certificate recognizes people at E- procurement, E-Tender & E-actions. As organizations move away from paper documents with ink signatures or authenticity stamps, digital signatures can provide added assurances of the evidence to provenance, identity, and status of an electronic document as well as acknowledging informed consent and approval by a signatory. Digital signatures can be used to authenticate the source of messages. When ownership of a digital signature secret key is bound to a specific user, a valid signature shows that the message was sent by that user. The importance of high confidence in sender authenticity is especially obvious in a financial context. In many scenarios, the sender and receiver of a message may have a need for confidence that the message has not been altered during transmission. Although encryption hides the contents of a message, it may be possible to change an encrypted message without understanding it. However, if a message is digitally signed, any change in the message after signature invalidates the signature. By this property, an entity that has signed some information cannot at a later time deny having signed it. Similarly, access to the public key only does not enable a fraudulent party to fake a valid signature. Why Digital Signature and Digital Signature Certificate ?